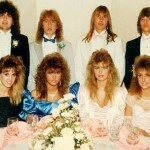 Ahhhh, nothing quite says 80s hair like the sweet, sweet look of all your hair on one side of your head. Okay, if we’re going to be totally honest with ourselves we have to admit that no one wakes up one morning and decides “I’m going to wear my hair in a way that reduces the appearance of IQ by at least 25 points!” Unfortunately, some of our 80s fashion fads made it look like we did just that, and the side ponytail was one of them. 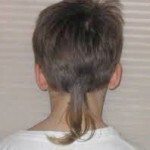 Imagine taking a horse’s tail and sticking it to the side of your head. 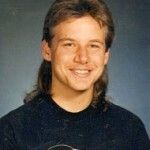 That’s the look we were all going for – and I mean ALL of us – in the 80s. I mean, if Debbie Gibson was doing it, then it had to be cool right? WRONG. 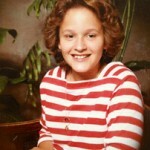 Celebrities, mall rats, even our moms tried to don this rad 80s doo. If you were totally awesome you crimped it and some of us even pulled off the side ponytail and big bangs at the same time. I wore my hair in just such a style to the 8th grade athletic formal (1985) while donning a silver and blue lame tea length, one-shoulder dress. Which begs the question, between the one-shoulder only dress and the hair all on one side – were the 80s just generally lopsided? All I know is that I looked A-W-E-S-O-M-E pulling away from home in the white limo. 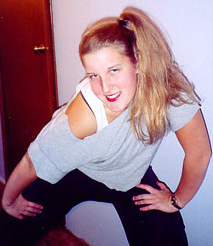 Those that say the side ponytail is making a comeback do not truly remember the 80s version of it at all. 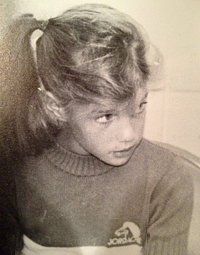 The side ponytails of today are nothing like the all or nothing version we put on our heads back then. Today’s side ponytails are subtle and loose. See Keira Knightly here for an example of the 21st century version of the side ponytail. So word to the wise, if you do remember the side ponytails of the 80s and you’ve heard about the “side ponytail comeback” don’t run out the door with your hair looking like it did back then. Chances are you’ll get more than a few weird looks (except from that guy with the mullet in the stonewashed jean jacket). 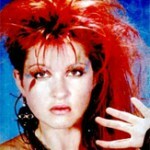 Learn more about Hairstyles of the 80s!